The original objectives of the Mary Rose Trust back in 1979 included: To find, record, excavate, raise, preserve, publish and display the Mary Rose for all time in Portsmouth. But how has this been achieved, particularly in relation to the objectives: to publish and display for all time? What is the ultimate output of this archaeological excavation? How are the results of the work communicated to a wider public in a way that is engaging for a 21st-century audience? What opportunities have there been for sharing our work internationally and what are the challenges ahead? 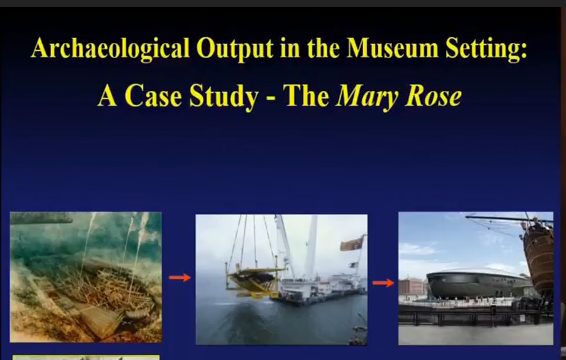 This paper will present the case study of the Mary Rose from the lows of a publication backlog to the highs of HLF funding and eventually the opening of the Museum in 2016. A high profile is allowing us to present as far afield as China, Cambodia and Taiwan, thus contributing to our global profession.